I used Jaded Blossom the new Doily Dies for one of the layers, the Paper Bag Die for the base of the treat holders and the Easter Basket Fun for the sweet bunny images. Hi everyone! 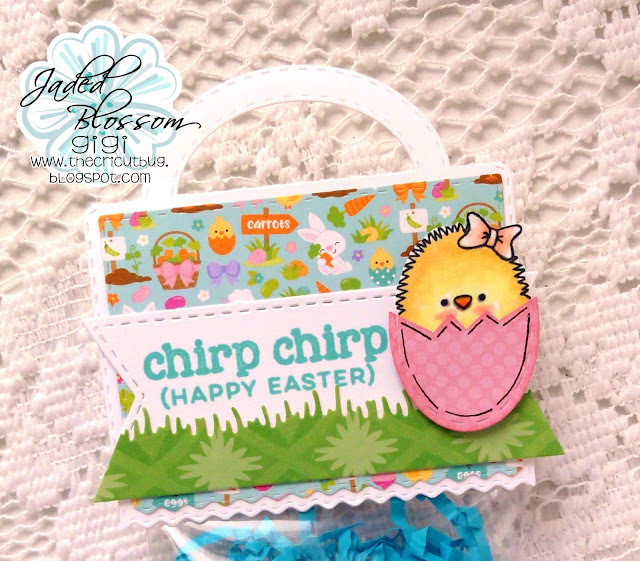 This is GiGi from The Cricut Bug and I am sharing this Easter treat holder I made using my Jaded Blossom supplies. 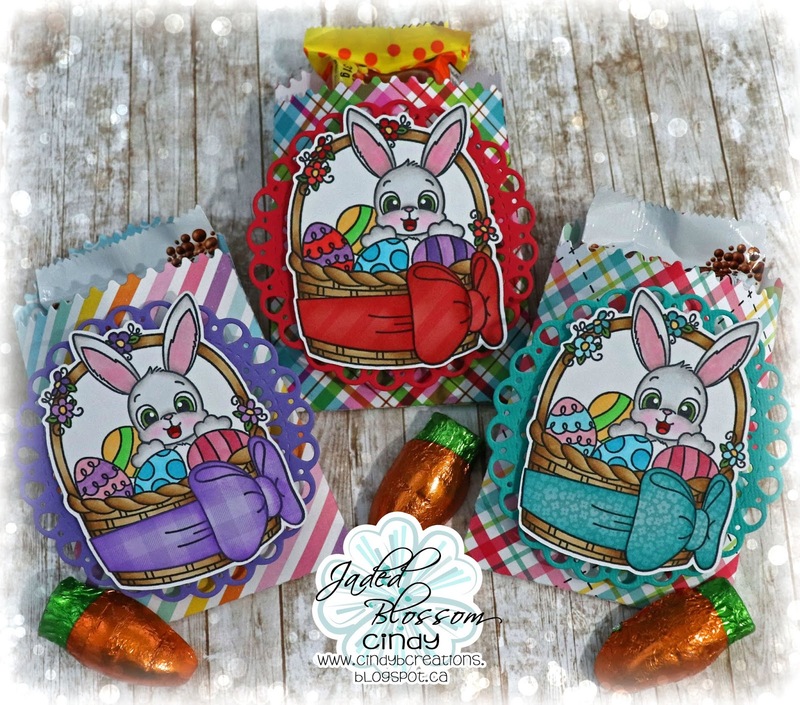 I started this project with the Ric Rac Topper Die and added it to a 3 X 4 Inch Clear Bag that I filled with a chocolate egg and paper shred. 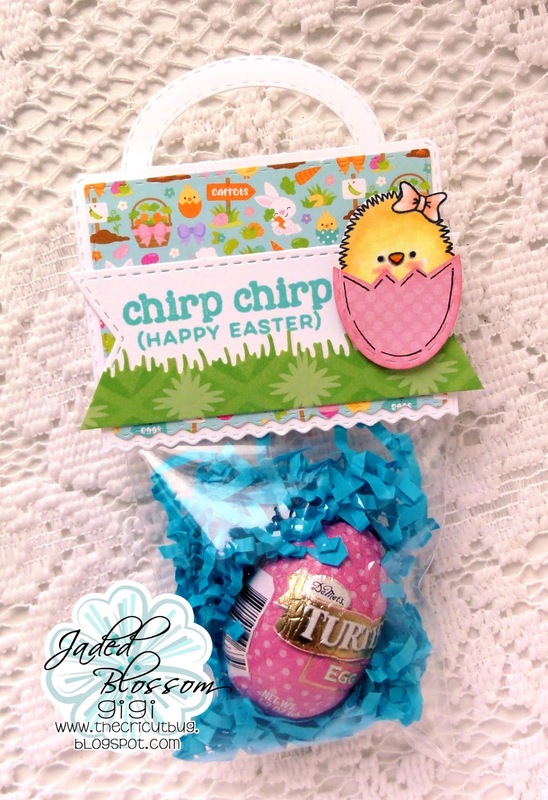 I stamped and colored the chick from the Hey Chickie stamp set and gave her an egg to sit inside cut with the Stitched Oval Dies. I cut it in half jagged to look like a cracked egg and used a black pen to draw in the lines. I cut the sentiment banner using the Mini Tag Dies 3 and added a layer of grass to the bottom cut with the Spring Dies. To finish, I stamped the sentiment from the Easter Basket Fun stamp set. Jamie here to share a fun treat I made with Cake Day and Fancy Topper Die! I created a fun topper for these 3 Musketeer Birthday Cake Minis! I started with the Fancy Topper Die and stamped a sentiment from Cake Day to a Flag Die 2. 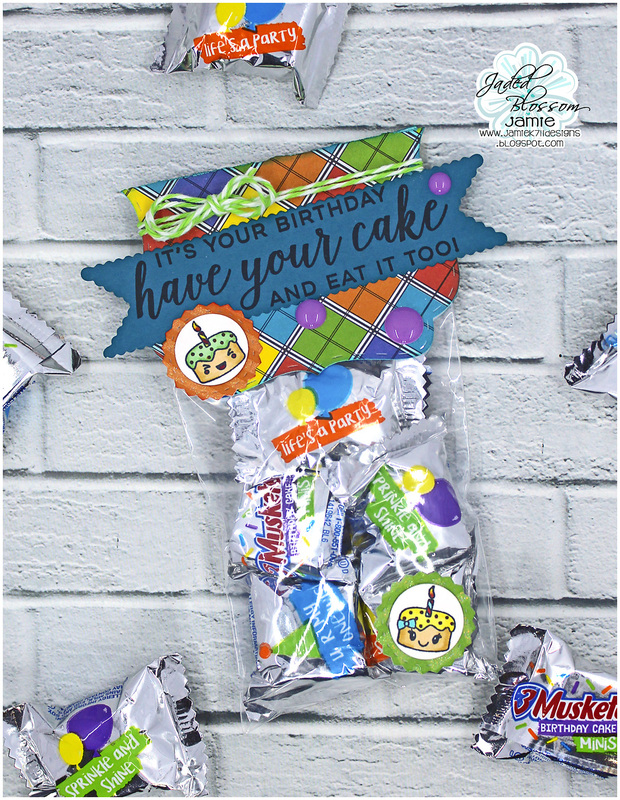 Then I stamped and colored the mini cakes from Cake Day and added them to Candy Charm Dies.